Led a Social Summit with Taco Bell clients across the marketing department team rethinking Taco Bell’s approach to social media and digital for 2018 onwards. * Taco Bell was top performing restaurant brand on social media in 2017. Click through details on sample work, including the Belluminati Campaign, Taco Bell’s Taco Toolkit, the Taco Mode partnership with Lyft and National Taco Day holiday season initiative. We partnered with Lyft in order to give fans a way to drive thru Taco Bell with the launch of Taco Mode. Late night cravings just got easier and more fun. National Taco Day falls on October 4th. But National Taco Day isn’t just your average internet holiday. It’s Taco Bell’s official holiday season, our Christmas, if you will. In 2017 and 2018, we didn’t just celebrate the day itself, but rather the delightful festive holiday season, including the ‘classic’ holiday tale of Glen & The Magic Taco, holiday traditions, gifts, and more. We gave fans a way to share custom National Taco Day holiday ecards with each other on social. We leveraged the 360 Facebook units in order to create an interactive social post where a user can scroll through the world of Glen and the Magic Taco. We crafted a holiday shopping guide in partnership with Etsy and promoted it across our social channels. In 2018, we gave fans a way to buy each other the special, limited edition National Taco Day gift set box. Fans bought friends the gift set, and were able to send them an accompanying digital gift card via Instagram. Taco Bell fans love expressing their love for Taco Bell in big and bold ways. When it came to doing so on Instagram or via texting, they were most often bound by words with the exception of a small sample of third party Giphy stickers. 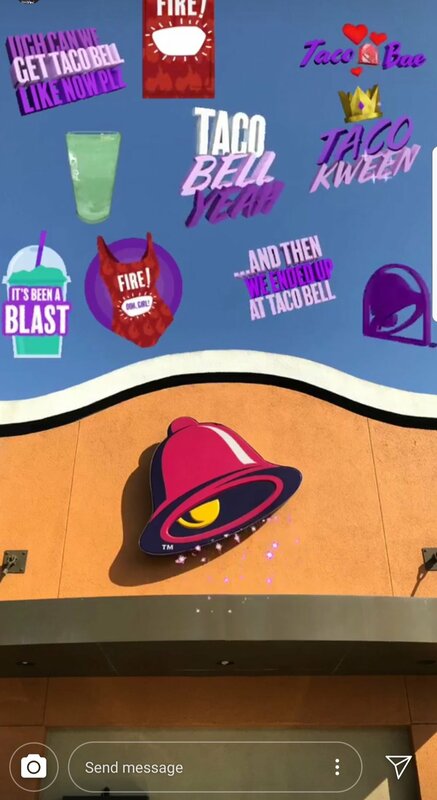 We decided to give our fans a way to speak Taco Bell by turning it into a vibrant visual language with a giphy sticker toolkit. Beyond providing fans with an everyday Giphy Sticker toolkit, we also share new stickers packs for select occasions during the year such as National Taco Day and Taco Bell’s partnership for the MTV’s Video Music Awards. Taco Bell has a value menu spanning 20 different products, each ONLY for $1. How can so much decadence only cost $1? There must be something - or someone - behind this. 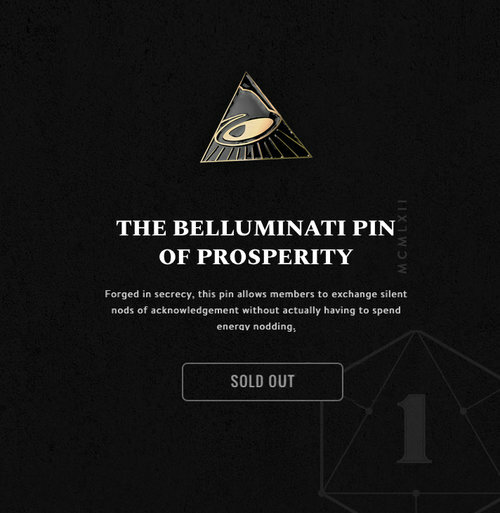 Introducing, The Belluminati: A secret society for those in the know, or those with $1. For years, fans have been making the link on social media between Taco Bell and the illuminati (for example). We borrowed from this social insight in order to craft a larger campaign that defies traditional value menu expectations (cheap=bad) to instead create a world of affordable decadence. To join the world of the Belluminati, all you need is a $1. To extend the world of the Belluminati beyond broadcast, the social digital team created a range of experiences. For starters, we teased out Belluminati kits to existing Belluminati members - aka, current lovers of Taco Bell’s value menu. 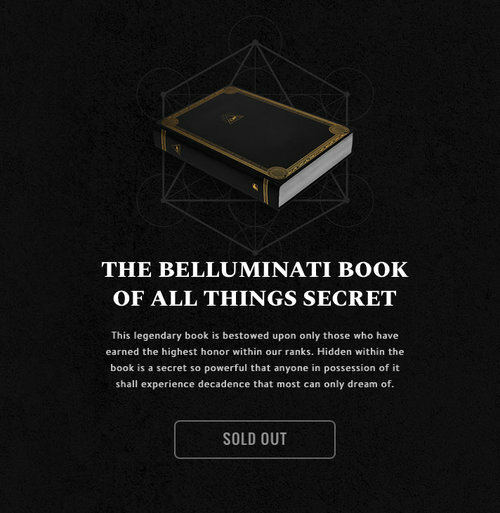 We also created a password protected Belluminati store with Belluminati swag drops that super fans could unlock by decoding clues, such as a password hidden in a string of morse code on a social post which we shared on Reddit. Super fans were so excited to unlock the store that they even turned to collaborate with each other on Reddit in the hopes of cracking the code faster. Not only was the swag was so beloved that fans even then took to reselling it on an eBay thereby creating a black market Belluminati swag phenomenon, this was the highest engagement on Reddit Taco Bell has ever had. To comically highlight the undeniable logic of the Belluminati’s existence(! ), we also published 'Belluminati proofs’ on Imgur - over the top, highly mathematical conspiracy style theories linking Taco Bell with the Belluminati. These outperformed Imgur social benchmarks, with outstanding comments coming from viewers who did not realize this was an ad - the ultimate compliment!